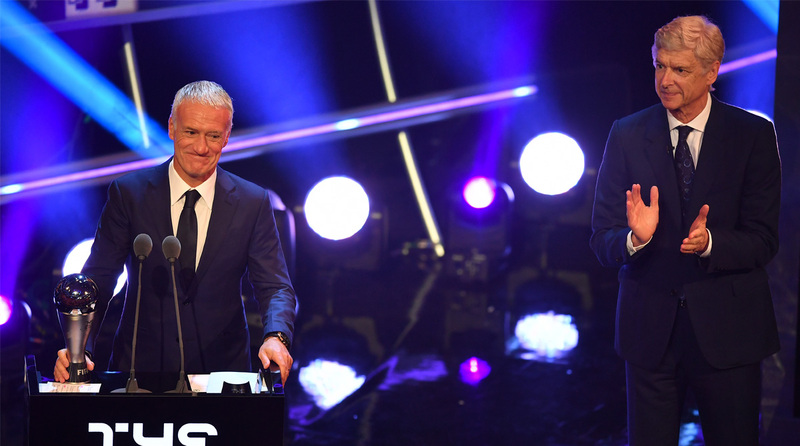 Didier Deschamps, who led France to World Cup glory in Russia, was honoured with the prize for best men’s coach of the year at The Best FIFA Football Awards 2018 gala here. The 49-year-old Frenchman on Monday succeeds countryman Zinedine Zidane, who won last year for his accomplishments with Real Madrid, reports Efe. Deschamps was the heavy favourite to take the honour after the World Cup triumph, which made him only the third person ever to hoist the trophy as both a player and a coach, joining Brazil’s Mario Lobo Zagallo and Franz Beckenbauer of Germany. The prize for best women’s coach went to Reynald Pedros, another former France international, who directed Lyon to the French domestic championship and the Women’s Champions League crown in his inaugural season with the club.